A healthy snack for on the go! Soak 16 6-inch wooden skewers in lukewarm water for 30 minutes. 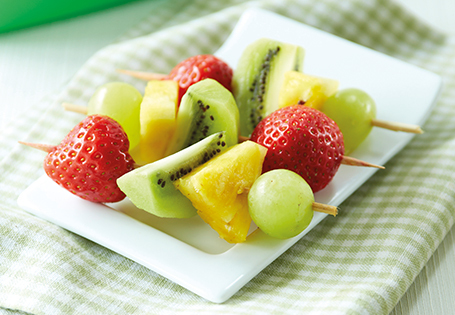 Skewer each fruit combination on the prepared skewers.